1/4/17 - Join us for our Inventory Reduction Sale, begins on 1/10/17! In this class, you will be making a Wall hanging. You will need Deb Tucker's petite Rapid Fire Hunter's Star ruler, which also includes the pattern required for the class. Every step of the project will be covered in the class and no pre-class prep work is required. For more information and a complete list of required supplies and materials for this class, click the image above or click HERE. Many new collections are arriving in 2017 and we need to make room, so ALL bolted fabric in the shop* will be on sale. Save up to 40% off of the normal ticketed price! NOTE: We only have one more left of each of these items, don't miss out! 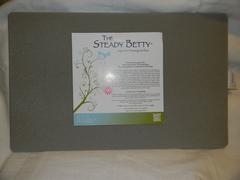 The Steady Betty is a unique, high quality pressing surface that holds fabric down with little to no movement for a perfect press. 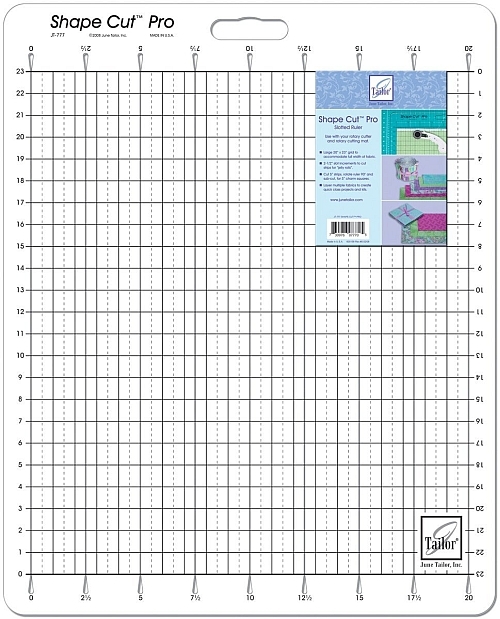 Perfect to cut 2 1/2" strips for jelly rolls or 5" squares for charm squares. Crow Sew - The next scheduled meeting will be on Wednesday, January 18th, 2017. It would seem that Winter weather is now upon us. Since folks visit our store from all over the area, it's a good idea to make sure we're open before you trek out for fabric on a snowy day. An important factor in how we determine store hours during bad weather is the local schools and how they handle it. If you check the School Closings and the Palmerton, Lehighton, or Jim Thorpe schools are closed that day, we will usually close as well. Check our website at www.the-quiltedcrow.com. Any weather-related announcements will appear on the front page and we'll make every effort to update the page as early in the morning as possible. Call the store at (610)900-4700. If the store is closed or has modified hours that day, we'll be sure to put up a temporary Voice Mail message with the details. Look for an announcement on our Facebook page, which will be updated in the event of any modified store hours. Our Facebook page can be accessed by CLICKING HERE.